The opening of halibut season is a rite of spring in the Pacific Northwest and always brings the excitement of fresh wild bounty. You can do just about anything with halibut, and I’ve done many, being a huge fan of the fish. It’s willing to accept a wide range of flavor, it’s meaty and tender while not overly fishy and you can pan-fry, grill, plank or poach it. But this year I’ve found the best preparation ever, and I love it when seemingly fancy or fussy things turn out to be easy and totally worth it. Such is the case with cooking “en papillote” or “in parchment”. These magical little packets create an effective steam chamber that drives a world of flavor INTO this fabulous fish. The packets are easy to make, especially if you are experienced cutting hearts out of folded pieces of paper 🙂 Even if you’e not, the easy instructions in this Serious Eats article will help you get the hang of it. For this recipe we paired Orange Tarragon Compound Butter with Madrona Smoked Honey and a squeeze of Meyer Lemon. The flavors combine effortlessly both in the packet and on the tongue. Dinner was ready in under half an hour start to finish and the flavor pairings were sensational. Serve with fresh vegetables and a nice white wine for an easy breezy spring dinner. Prepare four pieces of parchment, one for each piece of fish. I followed the instructions from Serious Eats found here. 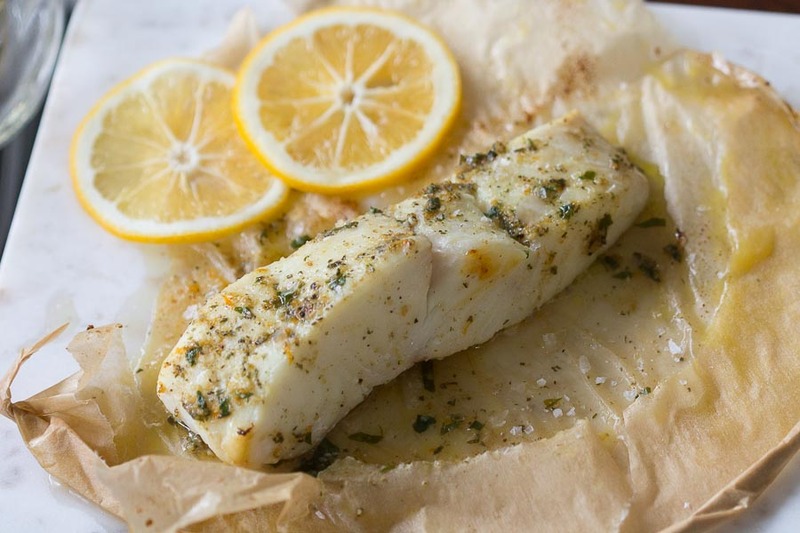 Working on a large sheet pan, place one piece of fish on each piece of parchment, top with 1 1/2 teaspoons of smoked honey and 1 tablespoon of the compound butter. Seal the parchment packets and slide the baking sheet into the oven. Cook 12-14 minutes until the packets have ballooned up and you can hear the juices sizzling inside. Carefully open the packets and slide the fish onto a prepared plate.